Heads Up! Concussion in Youth Sports! It's never too early to start thinking about Football season. Registration is open for all levels of Football and Cheer. If you haven't signed up, register today! 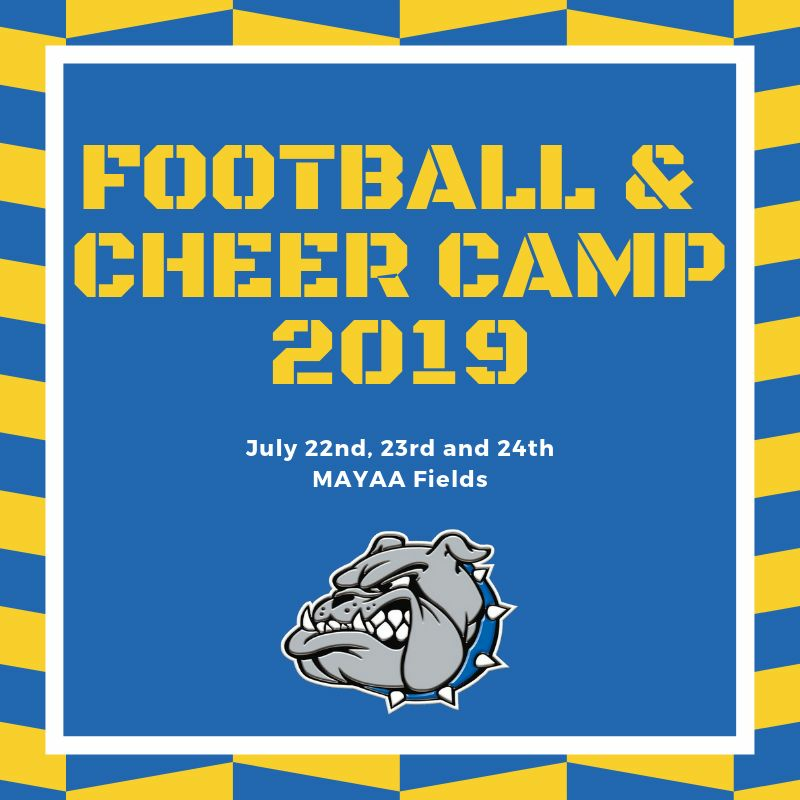 Come and develop fundamental skills with proven drills and techniques at MAYAA Bulldog Football & Cheer Camp this summer. The MAYAA General Membership Meeting for March will be held on March 13th @ 8 pm in the cafeteria of the Mt Airy Middle School. The General Membership meetings are open to the public, and all MAYAA parents are encouraged to attend. As a Volunteer Organization, we need your help to continue with our mission. It's better to miss one game than the whole season! MAYAA is dedicated to keeping our athletes safe. Effective 1/1/2012 all Frederick and Carroll County facilities will implement new requirements designed to inform parents and protect children. For more information please click on the Documents section on the left.